a variety of colors including blue, green and yellow. and time out of their cage to burn off excess energy. bird dies, the other will too. do is tear up paper. 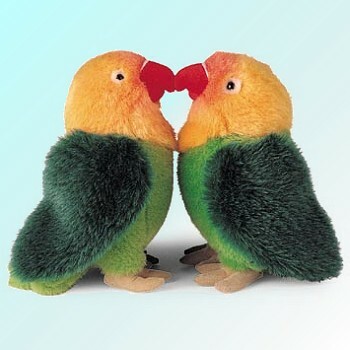 Lovebirds come from Africa and Madagascar. Fischers and and the masked. to help keep a Lovebird's feet healthy. seed-based, fortified small parrot diet everyday. every 2-3 days. Petey & Petunia love fresh kale. 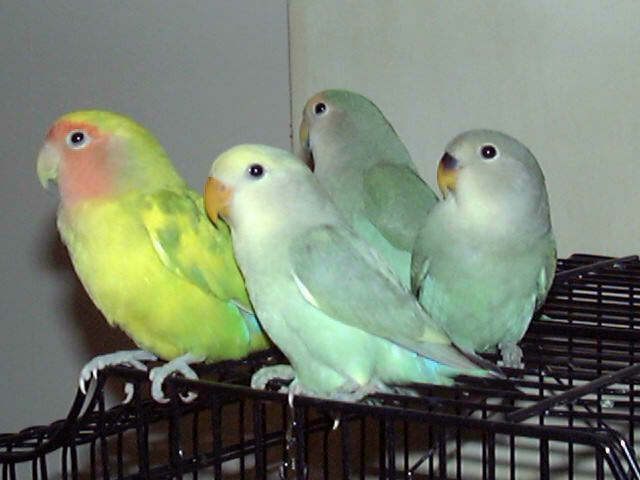 Keep a cuttle bone or mineral block in a Lovebird's cage at all times. Lovebirds should always have access to clean, fresh water. Petey & some of his "kids"
Petey & Petunia came to us from the local Humane Society. of having them around, she gave them to the society. to a qualified avian vet who pronounced them to be in excellent health. their cage. Now they're spoiled rotten and very well taken care of. cute babies. 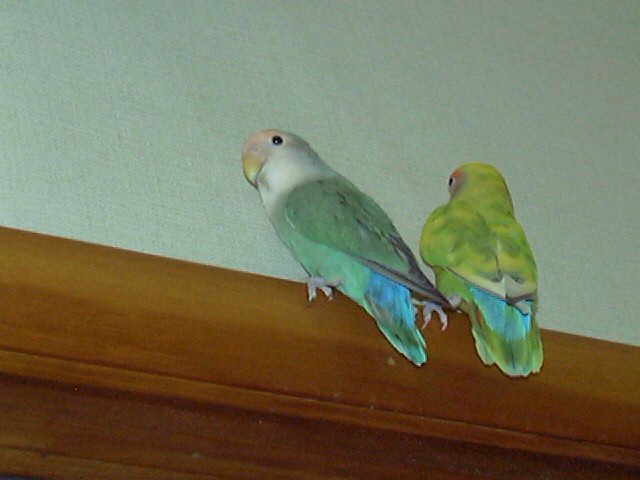 Each baby lovebird was given to a good home.